Language-the ability to speak, to answer-is at the heart of our humanness. In language is the power to shape and to reshape our worlds, inner and outer. 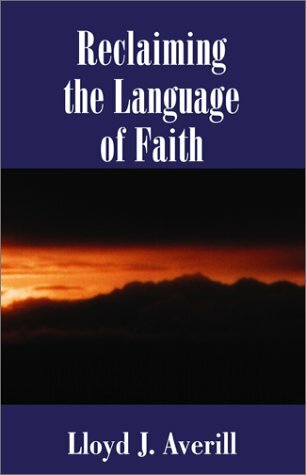 But many mainline Christians lack the faith language they need to make sense out of these confusing times. After "the acids of modernity" have done their worst, what can still be said about God, about the Bible, about Providence? Theologian Lloyd Averill examines the traditional language of faith-those, and other words, like sin, salvation, revelation, incarnation; even the word faith itself--to see what can be said about them that maintains their rich rootage in the Christian tradition and, at the same time, makes sense-can be empower us for understanding and change--in our kind of world. The style here is direct, the writing is accessible both to Christian insiders and to inquirers. If you have any questions about this product by Xlibris Corp, contact us by completing and submitting the form below. If you are looking for a specif part number, please include it with your message.